When I mention rural Eastern Cape cultural tours,people immediately think that its a budget, dirty,difficult conditions,sleep on the floor,no en suite bathroom experience.View our Eastern Cape Lodging that we use on our Eastern Cape Cultural tours. 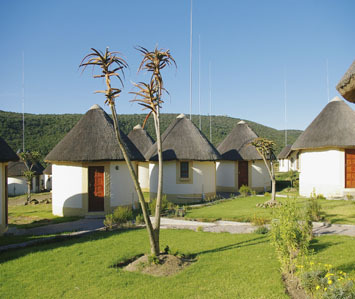 The lodging is all local,no big chain hotels,all adding to this special memorable Eastern Cape Cultural tours experience. The Garden Route is only about 3 to 4 hr drive from where we end the tour,if done in the reverse order. Meet guests in East London Airport and drive to Alice,check into our guest house…We can pick you up in Port Elizabeth as well. If we have time, we will show you parts of historic East London,visit a township,and a local soup kitchen.These activities depend on what time you arrive into East London. We will visit the Art Gallery in Fort Hare University popular for its breathtaking art collection.The art work here is done by African artists.It depicts life in the Townships and rural areas,as well as life during the struggle. You will have time to walk through the campus,and if you have a particular interest,we can arrange a meeting with a local University academic for a short discussion.As this university hosts the African National Congress Archives, which you can see as well. Experiencing a bake bread/village visit/drink tea activity. 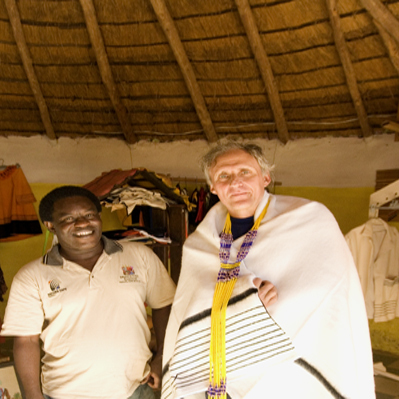 We can arrange a visit to a local traditional healer. In addition,we can take you higher up into the mountains where there is a small town/area that is rumored to be the inspiration for Tolkin for his Lord of the Rings series….its a laid back scenic area with a nice large garden area, with rivers, waterfalls..various artists make there home in this area. It has quite a number of walking trails,and the birding in the area can be productive. We can arrange traditional Xhosa dancing or singers.You will taste Traditional food and we can arrange for some historians, to come by and join you for a dinner/discussion evening. This morning after breakfast, we will finish what we did not get to the previous day, and leave for King Williams Town. We will then visit Steve Biko’s home and Steve Biko Garden of Remembrance where his grave is.Steve Biko died in the hands of the South African Police while on the struggle for the liberation of the oppressed in South Africa. On the way we will stop by to see the a local creche( day care center) started by Steve biko and his wife.As well there is a medical clinic that we can visit as well, that was also started by him as well. This town also has a large variety of church buildings with varied architectural styles,and we can meander pass some of them, coupled with the older buildings that have been preserved, it gives you a moment to step back in time. In the afternoon we will mix with village people in their shopping area and the taxi rank.They only shop here on the outskirts of town. They don’t want to go deeper into the town. Kings Place En Suite Eastern Cape Cultural Tour Lodging. After breakfast we leave for the Wild Coast via Kei Mouth where we will cross the river Kei on a pontoon to the Ex.Transkei homeland where you will experience the real Xhosa way of living in its best. On the way we will able to visit and walk in the village that hosts Nelson Mandelas home,Qunu,where he grew up. If we have time we will visit the Nelson Mandela museum and then proceed on the scenic route to Coffee bay where we will overnight. Coffee Bay is a sleepy little place on the Indian Ocean, surrounded by rolling hills, dotted with local huts/local gardens…its a place where time slows way down. After breakfast We will drive to the Umtata airport,to drop you of. If you need it we can transfer you up to the Kwa Zulu area, or to the local town where you can pickup a car to continue on with your self drive, or if I have prearranged for you to meet another guide, transfer you to your meeting point.